Puppy Bulldog Thinks He’s the Boss! 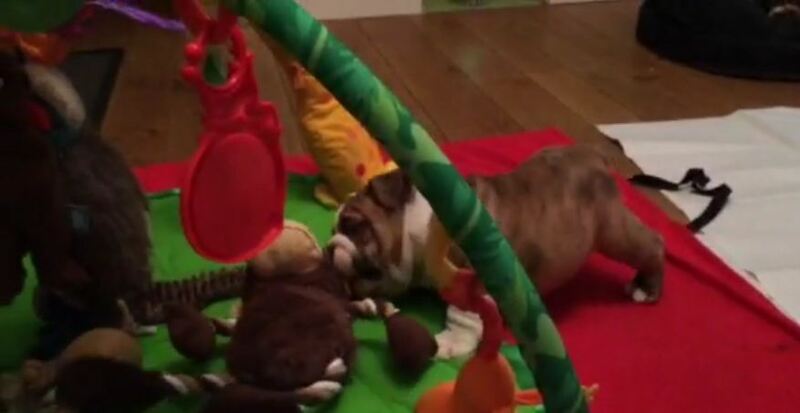 A 6-week-old bulldog puppy thinks he’s the boss, barking at his older aunt! That wasn’t very successful!